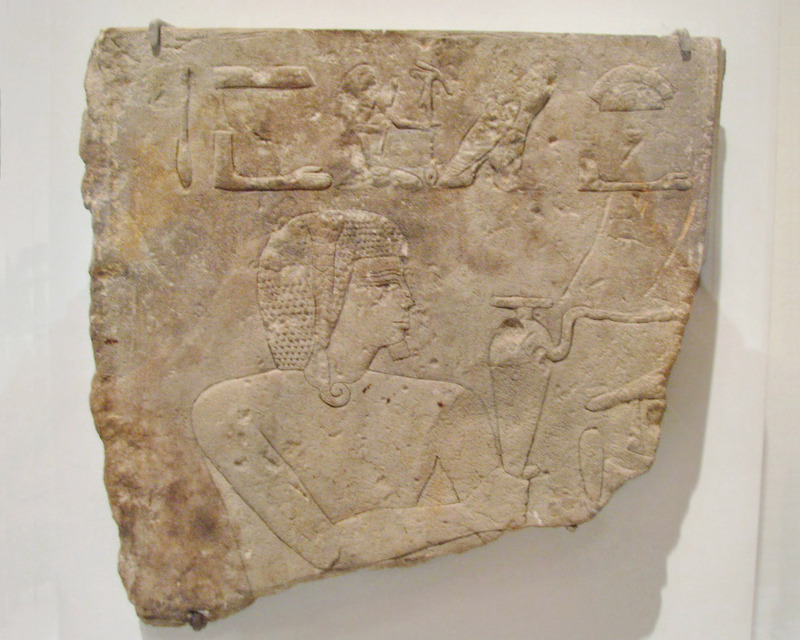 New Kingdom-Ramesside Period, ca. 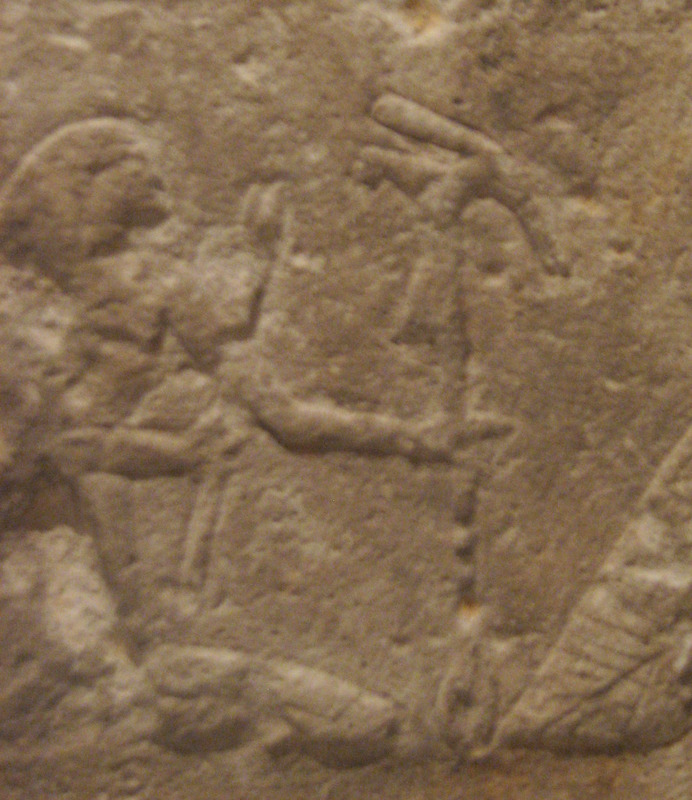 1279-1213 B.C.E. "Khaemwaset, a son of King Ramesses II, became legendary as a sage and a magician. He was the subject of the "Stories of Setne Khaemwaset," which date to the first millennium B.C. and were translated in the nineteenth century. The stories mention a book of powerful magic, written by the god Thoth, which Setne Khaemwaset attempts to retrieve from a deceased priest who has stolen it. This mythical Book of Thoth, the inspiration for the papyrus used to resurrect the mummy in the 1932 motion picture The Mummy, figures in numerous books and films dealing with ancient Egypt." "He is depicted bearing a libation vessel and sporting the sidelock of a sem-priest, a functionary of Ptah"
Likewise, as he remembered those who lived 1,000 years before him, so he was also remembered 1,000 years after his death. Ray declares "Khaemwise has the most colourful afterlife" as "his administrative title, the Setem, was garbled into Setne. It is under this name that he appears in a number of tales written in demotic, a form of hieroglyphic shorthand, some 1,000 years after his death. 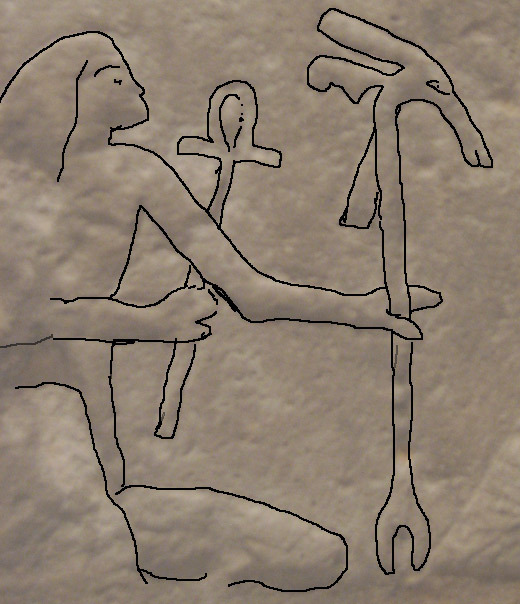 The Setne of these tales is sometimes recognisable as the scholarly priest..." who then goes through wild adventures as "here we find Setne in characteristic style, reading hieroglyphs on temple walls, when he receives a tip-off that a book containing the secrets of the universe is hidden in an ancient tomb. Eventually he finds the tomb and enters it, where he is entertained by a friendly family of ghosts who tell him their life story. He rewards the ghosts' hospitality by making off with the book..." (page 95) Of course the ghosts don't let him get away with this, and eventually their book is returned. But certainly, he took the book's secrets away in his head. No doubt the tales persist for Khaemwaset's curiousity was legendary. This, along with his careful attention to the antiquities, assure the ka of Khaemwaset will not be forgotten.